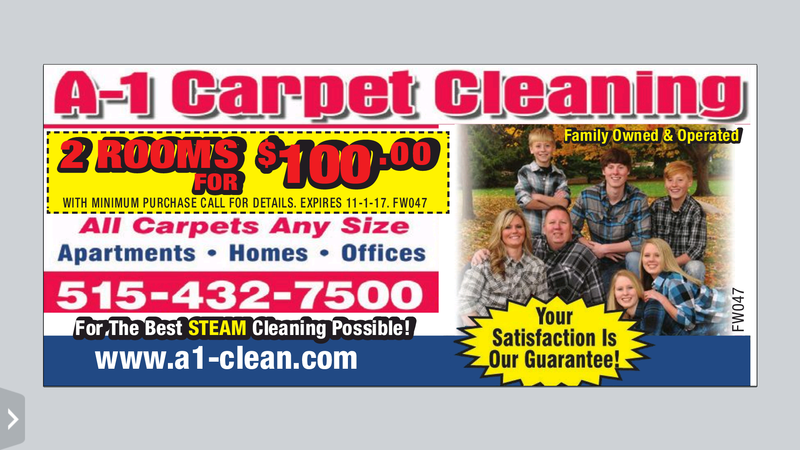 Looking for the Best Carpet Cleaning Service in the Ames area? 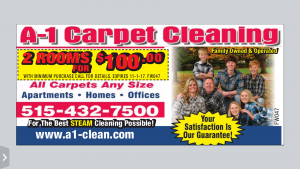 Doug and Renae Kraft started A-1 Carpet Cleaning as a family owned and operated business in 2004 to help others looking for a reliable carpet cleaning service with out the gimmicks. We offer good old fashion hard work to do the best job possible for each customer. Our prices are listed on our website for everyone to see so you can budget your carpet cleaning. We treat every customer with respect so we can earn not only your business time after time but your Trust! Reliability: Over 14 years of service and growing. I am thankful for God giving us that desire to serve others. Why Use Us For Your Carpet Cleaning? Only cleans from 2 directions (back and forth) with a couple of cleaning passes. Click here to see the Rotovac outclean a regular wand.